The Brickyard is designed for a quality hitting practice at a reasonable rate. Designed for fun at all ages! In addition to the pitching machine, each of our cages has an L-screen and hitting Tee which can be used by a coach for live pitching or soft toss. Get more hits by training at the Brickyard Cages! 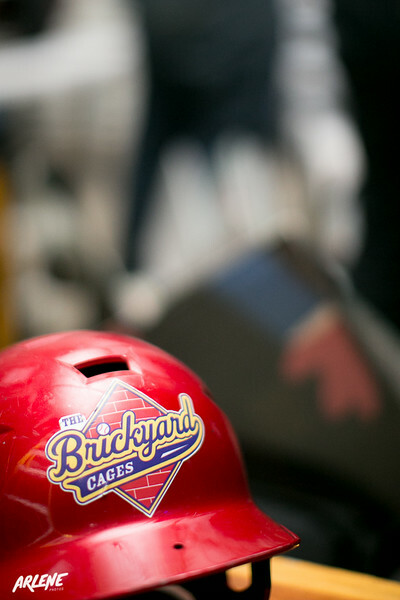 *All Brickyard Cages Members bat for half price on weekdays before 4pm. * Note: The Brickyard Cages is not a “Boomers” or “Stadium” batting cage facility and does not have automatic ball return and collection. The facility provide a high quality baseball atmosphere and customers pick-up the balls in the cage after usage.